“Watch Out For This (Bumaye)” is already a Moombathon anthem and the first taste of Major Lazer’s forthcoming album, Free The Universe. However, this track has origins dating back to 2005 when The Flexican remixed his own original production entitled “Bumaye.” Diplo heard the track and hooked up with The Flexican, co-producer FS Green and recruited dancehall singer Busy Signal to drop vocals over the remake. The result is an island jam uniting Caribbean vibes with the modern dance floor and it’s poised to be one of the biggest tracks of WMC/MMW. “The Flexican was the first DJ I met in Holland seven years ago and he introduced me to the eclectic style of Dutch house and Dutch Hip Ho. I’m always looking for cutting edge sounds, so with “Bumaye” we took The Flexican’s classic idea and made a modern monster record,” Diplo says. Award winning DJ/Producer The Flexican is one of the most popular DJs in The Netherlands and tours with his massive “Yours Truly;” a steady party concept where he plays legendary 4-hour DJ sets full of the latest floorkillers and his old-time favorite party tracks. 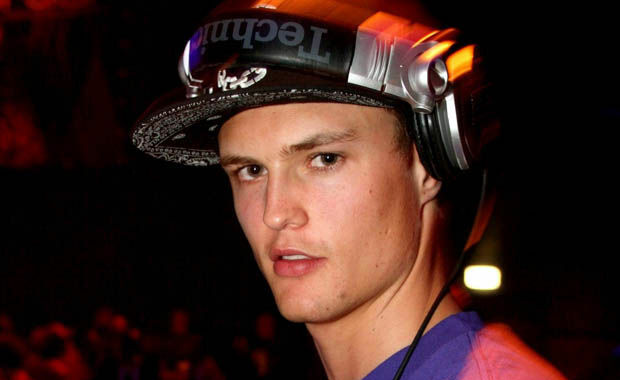 His Amsterdam Dance Event 2012 mixtape was downloaded more than 20.000 times in one weekend and his most favorite tracks of the moment with remixes and remakes such as Stevie Wonder – “Superstition (The Flexican & SirOJ Rmx),” Melanie Amaro – “Don’t Fail Me Now (The Flexican & FS Green Remix),” DJ Sliink – “Impossible (The Flexican Rework)” and The Flexican & Yung Felix – “Flexican Anthem,” among others. Respected by his colleague DJ’s and loved by party people for his dance floor bombs and energetic performances, we can safely say that The Flexican is not one to ignore.